Without a doubt, the Expedition is a showstopper! 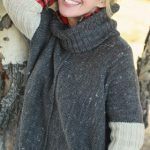 Worked flat, the intertwining cables rise from the hem to the raglan neck, drawing the eye upward. 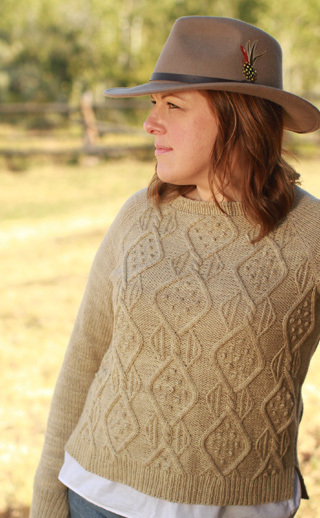 The rich cables are fully charted, sitting on a field of reverse stockinette. 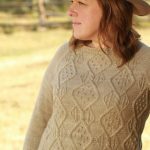 The twisting and twining of the intricate motif make this a great project for those who are comfortable with knitting from charts, as well as for the adventurous among us who want to expand their horizons!